The summer is upon us and you must have been feeling the scorching heat with the temperature hovering around 40 degrees in most parts of the country. Ceiling fans are good for circulating air but may not provide any respite during these sultry dog days. With many appliance companies offering discounts and deals on a range of air conditioners, this could just be the right time to buy a new AC or replace your existing one. You can stop worrying about the cost when you purchase your favorite AC on easy EMIs with Bajaj Finserv’s EMI Network that offers up to 100% financing on ACs and its installation. If you are looking for suggestions for the right air conditioner for your home or office, here is a list of the finest ACs in India. Lloyd is one of the top air conditioner brand across the world with a range of ACs offering smart features and pleasing designs. Lloyd LW12A3F9 window AC is among the cheapest air conditioners in India costing Rs.20,990 to Rs.23,490. It has a capacity of 1 ton and a BEE rating of 3 stars. Features like dehumidifier and auto re-start make this AC a great deal. Micromax offers some of the most affordable air conditioners in our country without compromising on efficiency and features. Micromax split ACS12C3C4QS3WH, with a capacity of 1 ton and a 3-star BEE rating is available at a price range of Rs.21,499 to Rs.23,999, which is a steal considering its features like 4-way swing, anti-VOC filter, and a catechin filter along with 5-year manufacturer warranty on the compressor. Voltas has been a top-selling air conditioner brand in India with dependable after sale service across a wide network of cities. Voltas 155CY is a 1.2 ton split AC with 5-star BEE rating which can be availed within a price range of Rs.25,499 and Rs.27,999. This can be a perfect air conditioner for you to enjoy a sound sleep. Its Auto mode automatically regulates the room temperature while its Anti-bacteria and dust filter, along with automatic lock keeps you secure. It also has a dual temperature LED display on the main component. One of the top trusted brand across the world, Haier brings some of the finest and cheapest air conditioners running on the latest technology and offering great features. Haier HSU-19TFW5P, which can be purchased for around Rs.24,999 to Rs.26,499. It comes with a 1.5-ton capacity and 5-star BEE rating to ensure maximum cooling and efficiency. Additional features like anti-bacterial and dust filter, auto-start and sleep mode make it an unparalleled product at this price point. The South-Korean giant produces some of the world’s finest air conditioners with unique designs and outstanding efficiency. Samsung AR18MC3ULGM, priced around Rs.25,999 to Rs.28,499 is a decent choice as it can cool rapidly using fast cooling technology like Durafin heat exchanger. It also has Triple care filters to keep dust and bacteria away from you. Apart from a 3-star BEE rating, its Single User mode helps in reducing the energy consumption, improving efficiency. This new-age Indian company has made a name as one of the durable and affordable appliance brands in the market. 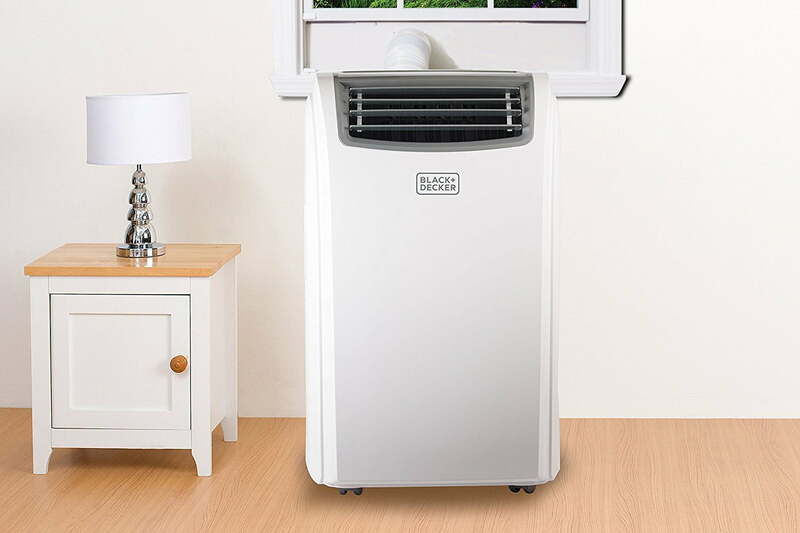 Mitashi MiSAC15INv20 is the most affordable air conditioner boasting the inverter technology that enhances power efficiency by controlling motor speed. It costs between Rs.29,999 and Rs.34,499 and is equipped with essential features like a dehumidifier, auto restart, and dust filter. Rated 3 stars on BEE scale and with a capacity of 1.5 ton, this AC could be a worthwhile purchase to beat the heat this summer. We hope this guide helped you zero-in on the right appliance to keep you cool, composed and comfortable this summer!